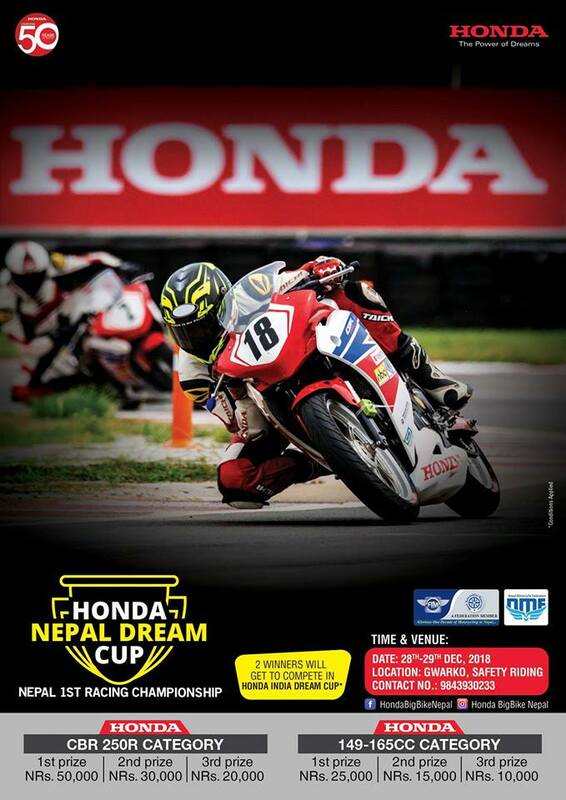 The Honda Nepal Dream Cup is Nepal’s first motorcycle championship event. It aims to reduce road accidents by providing a safe and controlled environment for riders to test their skills and machines. The winner will be able to participate in Honda India Dream Cup.